…I received a delightful order from the Etsy shop of Miss Ficklemedia. 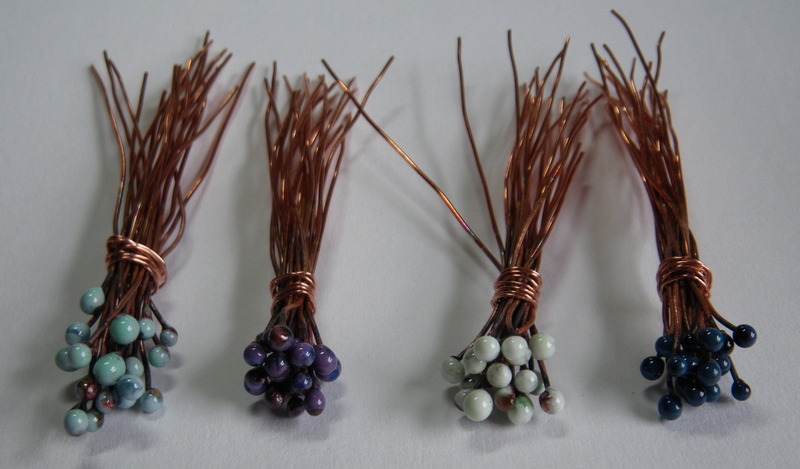 I’ve been looking forward to getting these enameled head pins to see how they look with some of my own beads. I plan to use these with some new metal clay beads, but I haven’t made them yet. This afternoon I tried them out with a few of my flat PMC beads. 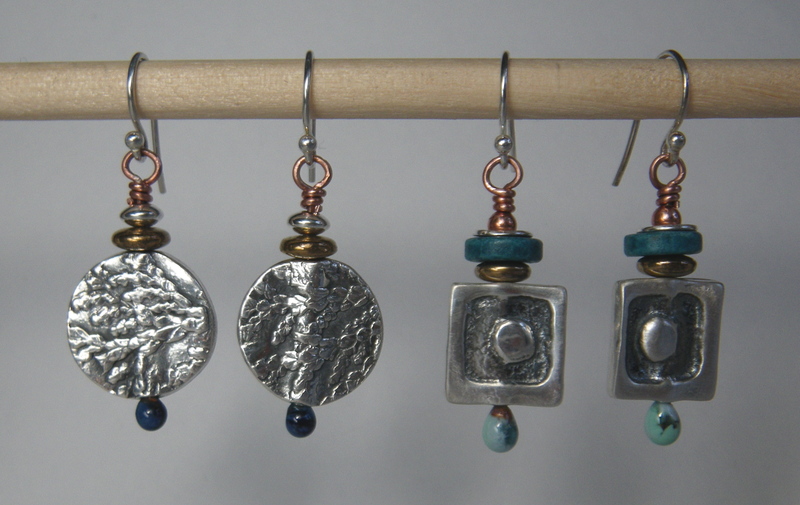 I like seeing some copper wire with the silver for a change, and the head pins give the earrings a very cool pedicure! 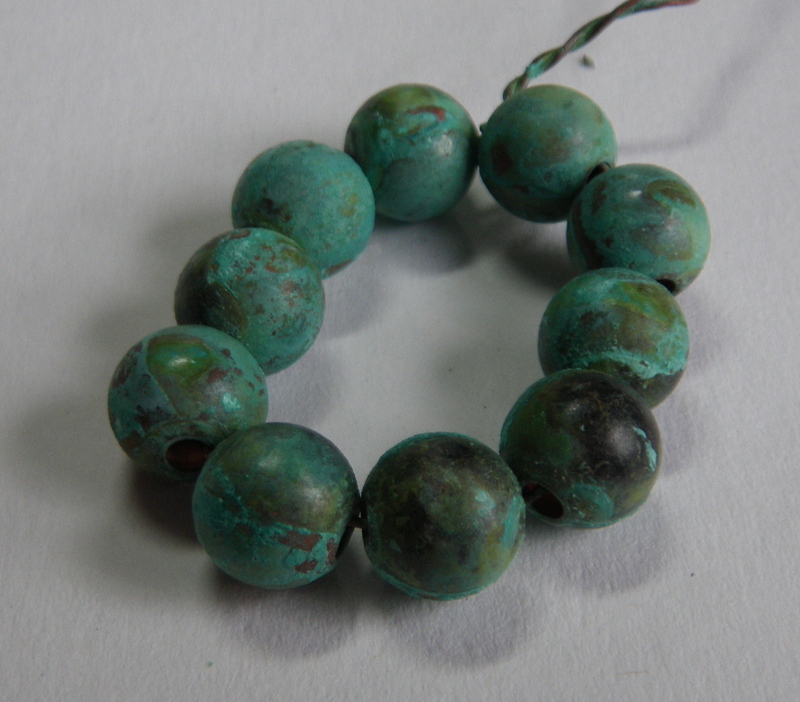 Copper beads, with beautiful green patina, were also in the order. I love how these are finished. Once the patina is applied and the beads oxidize, they are sealed with a satin lacquer and finally rubbed with a preservation wax. The minute I rolled these beads in my hand, I knew I wanted to go right back to this Etsy shop and order more. I can’t wait to use them with some of my own beads in a necklace. Thank you Shannon for your lovely work!